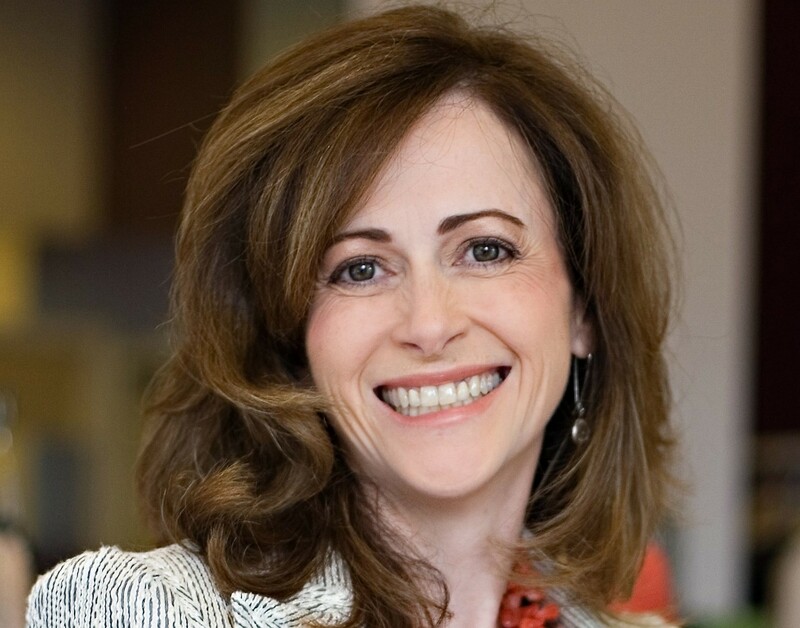 Susan Lilly Gerock currently serves as VP, IT and CIO for WashREIT, an industry-leading owner and operator of real estate in the DC region. She has over 20 years of experience in various technology roles spanning manufacturing, consulting, application service provider, and commercial real estate organizations. Her specialties include ERP selection and implementation, project and change management, and cybersecurity. She is also a proponent of the use of social media and the overlapping relationship between technology and marketing. 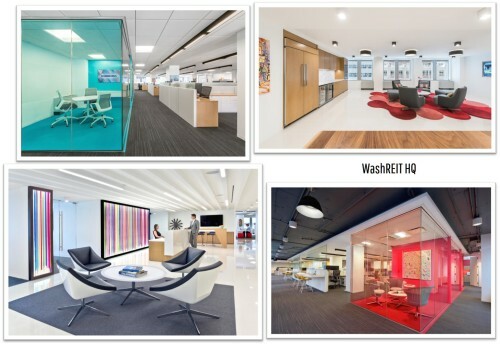 Tell us about the IT organization at WashREIT and your day-to-day responsibilities. 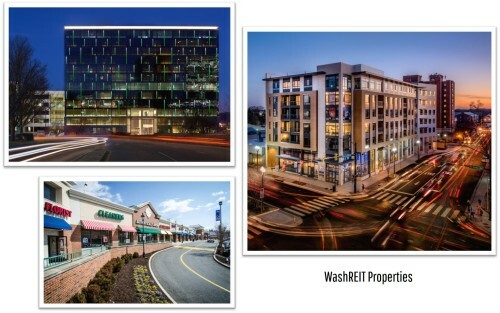 WashREIT is a company that is unique in the real estate investment trust space in that we�re in three lines of business: office, retail, and multifamily. As you can imagine, the tenants� needs vary widely. We are a staff of nine, and we all wear many hats; you have a job title but do a lot of different things on any given day. I am fortunate to be involved in many initiatives�it is so nice to have IT as a valued member of everything the company is trying to accomplish, and knowing others appreciate what we bring to the table. It allows everyone to drive new ways of thinking and new solutions. How did your technology journey begin? Soon after I started in April 2016, we kicked off a major set of projects that ran from August 2016 through the fall of 2017 called Project REnovation. Our CFO had previously contracted with NOI Strategies to do an assessment of processes, information needs, and existing systems; from that assessment, we had a recommended path to build a comprehensive process and technology program to support the company�s strategy. Project REnovation had eight work streams and involved a brand new accounting structure and chart of accounts. As you can imagine, as the company grew and changed and we went in and out of different lines of business, our chart of accounts did not elegantly evolve. We had to convert all of our data to align with the new chart of accounts and take into account any systems that we had that are integrated with our JD Edwards system. We did an upgrade to the current version of JD Edwards and moved to a new datacenter that specialized in JD Edwards hosting and management. We selected and implemented a new reporting tool: ReportsNow. We selected and implemented a new budgeting and forecasting system; we chose Argus Enterprise. We implemented JD Edwards Job Cost, which we owned but had not used for a number of years. Then we made a large number of process improvements to take advantage of the new functionality in the upgraded JD Edwards system. It was a tremendous effort but also a tremendous accomplishment for our company to complete that change in a short period. What is your highest priority technology initiative in 2018 and what are the drivers behind that decision? A key objective in 2018 is to ensure we continue to take advantage of all of the good things we have put into place as part of Project REnovation. The initial feedback we received at the end of 2017 was that it is now easier to access our information. People were starting to get used to the new chart of accounts. They began to see the kind of reporting we can get: we can see information from a forecasting standpoint quicker and easier. This year the focus is to really take advantage of this foundation, to take information internally and externally and use it to further analyze and better our business. Whether it�s leasing or messaging to Wall Street or acquisition strategies; all these are being driven by the process changes we�ve put into place and our ability to access and analyze meaningful data quickly and easily. This has been a primary part of my job. I have spearheaded the creation of the �Information Into Insights� team, or I3 as we call it. It�s a cross-functional team of director-level and above in the organization. We meet weekly, focusing on improving data, improving processes, discussing what�s working, what�s not working. We just had an I3 meeting where we discussed our quarter close and how the information is coming faster, easier and much more efficiently. We are starting to spend more time on analysis rather than gathering information. It is a measurable improvement from a year ago. Cybersecurity is an important topic for everyone. Can you share initiatives in that area? It has started to hit on all cylinders as far as taking all the solutions that we had and putting them into a really comprehensive cyber program, which I�m very proud of. One of the things that we are rolling out this year is further enhancing network access control. Continuing to improve is important for making sure we don�t have any sort of rogue machinery or actors connecting to our corporate network. We�re also taking a very deep dive into our data assets and making sure we absolutely understand where everything is kept to ensure protection. We continue to evaluate if we�re detecting for the right things, and that we have very strong business continuity capabilities so that if something occurs, we�re able to get that data back very quickly, with the most recent information possible. The threat landscape is constantly changing so we have to focus on continuous improvement and be willing to change our priorities as needed. It is certainly our cyber focus to address not only our internal data but also the Internet of Things and the built environment�ensuring that we are putting the right protections in place so we don�t have issues with a parking system, or an HVAC system, or with a non-human managed security system, for example. Those sorts of things are all different potential points of entry. We work very closely with our real estate services team and property management teams to ensure that we have the right alignment. What would you share with other CIOs? Any words of advice? I have known many of my fellow CIOs for quite some time and they�re all so good at what they do. I have great admiration for the challenges they face and the creative solutions that they bring to the table. I think we all have slightly different needs in working for different types of companies; this group is always so willing to help each other and I�m very appreciative of that. I would say that my role changes all the time and I think the role of the CIO, whether in real estate or another industry�you have to be willing to change to meet what your company and your industry needs from you. I look at my role as bringing people together to help benefit the company, whether that means bringing people from different departments together or bringing people from outside, a vendor or partner company�providing that perspective to people on the inside. These connections enable us to learn, to grow and to make our shareholders, tenant, and employees successful. 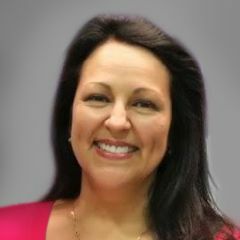 Tina Danielsen is a corporate writer, editor and business owner, specializing on the topics of technology and business management. She is a former executive in the printing industry, with an extensive background in sales management and marketing. Tina has over 25 years of experience in project management and professional outreach in multiple business environments.